Katy Harris is one of the biggest Taylor Swift fans in the world. She posts plenty of photos of the ‘Shake It Off’ singer on her Instagram, ktswift1122, and was even planning on tying the knot with her fiancée Chris Eisenmann on the pop superstar’s 25th birthday, which was on December 13th. However, the couple didn’t marry then, because Harris came up with an even better idea for their Swift-themed nuptials. 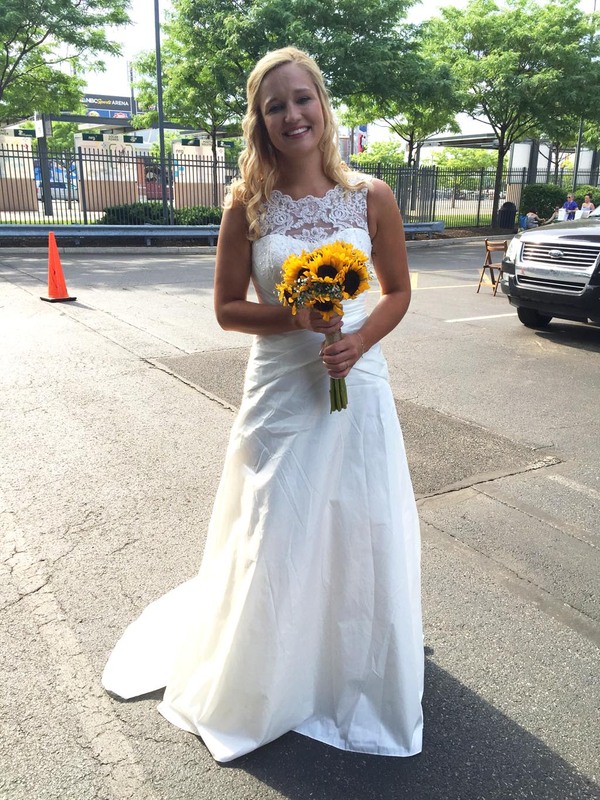 The 26-year-old and Eisenmann decided to marry on Friday, June 12 – the day of the ‘Blank Space’ singer’s concert at Lincoln Financial Field in Philadelphia. 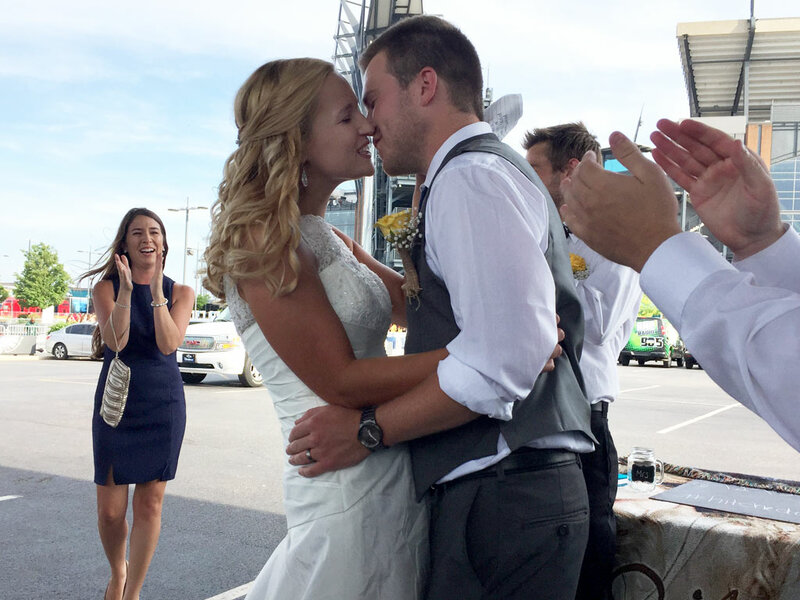 Harris and Eisenmann said ‘I do’ in the venue’s parking lot, just before heading inside to see Swift perform. They were surrounded by friends, family and other Swift fans. The couple had a blast at the highly-anticipated concert, but their big day was about to get even better. 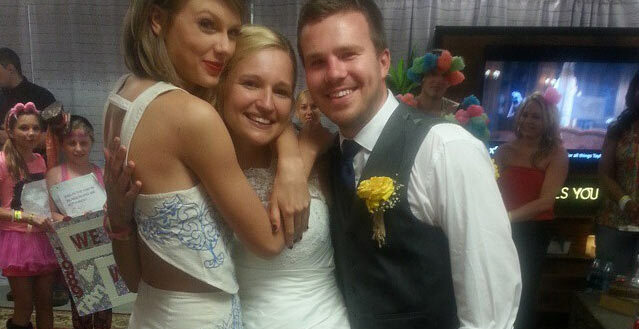 The happy bride received an invite to come backstage and meet Swift! It has been reported that the superstar’s mom, Andrea saw Harris’ Instagram and coordinated to get the newlyweds backstage. Harris couldn’t believe her luck! She posted a photo of the trio on Instagram, with the caption: “Last night was a dream sequence” Instagram, meet my new husband Chris and our new friend Taylor!!!!!! I have no words to express lastnight!! My two dreams came true!! !”.